Your request to Houston 311 has been accepted. Your service request ID is #339213. Your request to Houston 311 has been accepted. Your service request ID is #339214. Recessed manhole cover has flattened my tire and bent my wheel. Grrrrr!!! Your request to Houston 311 has been accepted. Your service request ID is #339109. Your request to Houston 311 has been accepted. Your service request ID is #339418. I flagged this location a month ago for a pothole. it appears the contractor filled one, but missed several of the other smaller, albeit, important ones. please see attached photo showing one patched pothole and several more unpatched. Your request to Houston 311 has been accepted. Your service request ID is #339246. 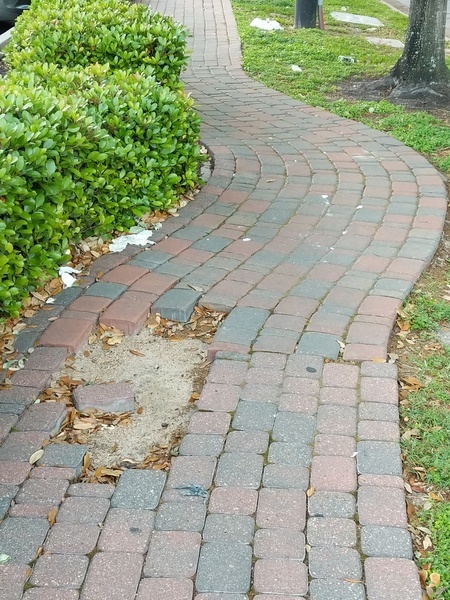 Trash blocking sidewalk. Person in wheelchair had to go into street to pass. Hopefully it has been removed by Solid Waste for Heavy junk /tree removal. Sprinkler damage causing leak in park exercise area. Also, sprinkler leak along curb on Anita. Also, cover on path light nearby pushed loose, wires exposed. Thanks. We had an index of the entire irrigation system done prior to the Art in the Park event. It should have been corrected. Thanks. Good afternoon, I have called it into Fiesta Mart located on 4200 San Jacinto. They have a service that collects these carts daily. 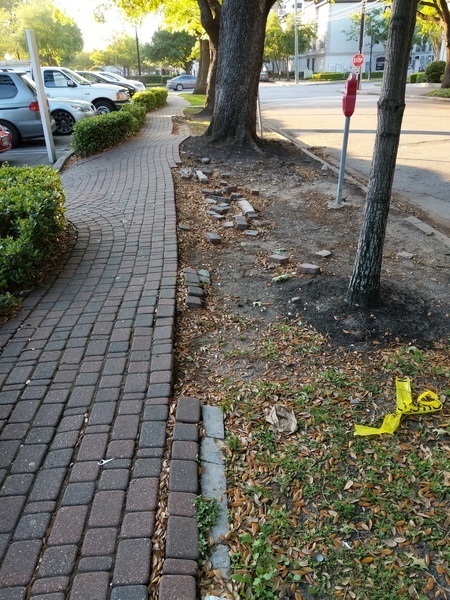 Their number for your records is 713-529-0155.
sidewalk still in disrepair and presents serious walking hazard. when will Randall fix issue. This entire side of the sidewalk needs to covered to the curb. What is it so narrow?